Parenting a young athlete is exciting and tough, both at the same time. Excitement of the little you-know-what-happened-today stories or, those special moments when your little kid talks to you as a friend and even tells you a secret maybe, and those precious times when you see your little one play and fight it out on the field, all of these are amazing feelings comparable to none other. But, at the same time, keeping up that trust and staying a friend (who doesn’t turn into a parent all of a sudden), is perhaps one of the toughest things you’ll ever have to do. A parent would advise, a friend would understand. That difference might not mean as much to you, but it means the world to the child. When you look at problems from parent’s perspective, those problems may seem too small or too silly, but if you get into the kid’s shoes, you’ll know, how huge that problem can be in their little world. 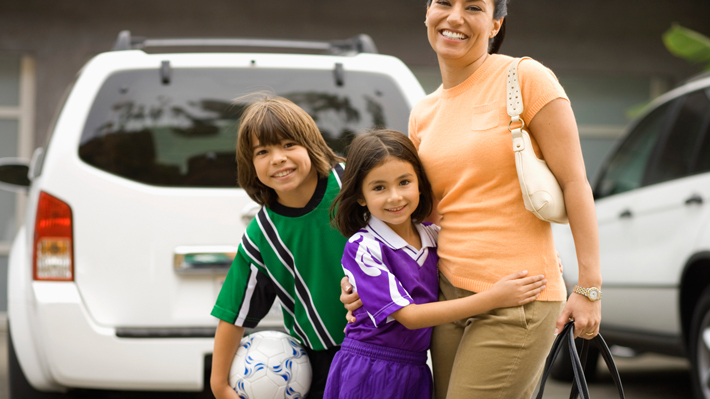 Parents approach to the youth sports is different, and for valid reasons. If the child has potential, parents want it to be tapped. They spend time and money ensuring the kid gets the right exposure and training that can help create a future for the kid. This a big responsibility and parents often succumb to the pressure, which translates into parents passing on the pressure, directly or indirectly, on to the child. They advise, expect, ask, demand, which is natural maybe, but that’s surely not the best way of dealing with young athletes. 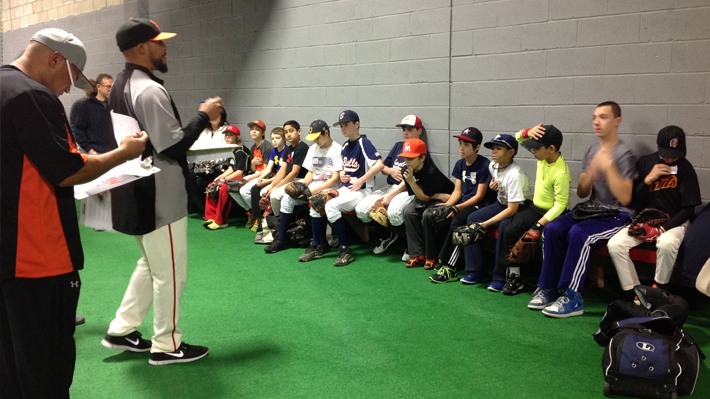 Hi – as soon as the kid comes back from practice, game or school, don’t start throwing questions - How did it go? What did the coach say? Did you win? How did the test go? Just let the kid get in the car, breathe in a moment. For all you know she’ll be the one jumping with excitement to tell you about what happened. Have fun out there – Don’t keep telling your kid to win. She already has that pressure, from the coach, peers and of course from her own self. Relax her pressure by bringing down the expectation. Principally, if she actually enjoys herself in whatever she’s doing, her performance will be far better than what it will be under stress. I’m proud of you – Let the kid have pride and confidence, tell her you are her biggest fan, tell her you love to watch her play, tell her she is beautiful in her unique way. I love you – Tell your kid you love her in spite of whether she loses or wins. Tell her you love her for what she is and not for what she can be. Remove all conditions, clauses and sub-clauses, tell her you love her more than you love her achievements. Can you help me fix this – Kids these days are more mature and sensible than what we were as kids, and with every passing generation it just gets better. Don’t treat your kids as kids, treat them respectfully as ‘little adults’. Whether it’s an emotional issue or a thing that needs to be worked upon or needs to be mended, seek help from your kid. The trust and dependency will do wonders to the child. Hope this advice helps you as much as it helped me. Happy parenting! 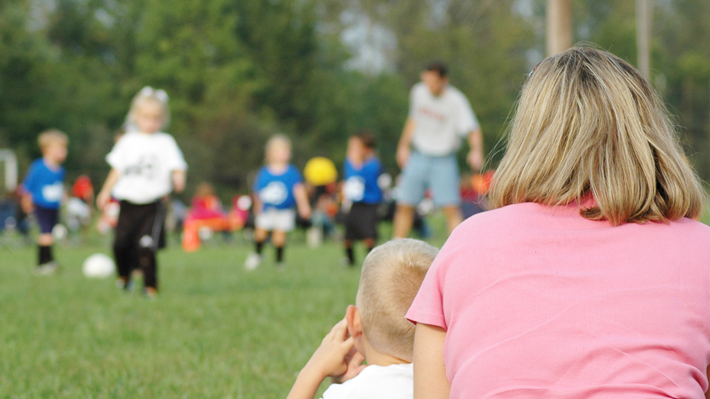 If you are a sports parent, don’t you just love being a part of your kid’s sports life? Aren’t you excited that your kid is enjoying the game so much? Well, we all do. But for most parents, this excitement soon crosses the line to become an obsession, and then the whole emphasis on winning and sports career and college scholarship comes into picture. Not only does this obsession spoil the fun for your child, it spoils the game for all involved, the coach, the team, everyone. The obsessionis contagious. Some kids who came together just for the fun of playing a game, now represent the school team, a school team that needs to represent school, win tournaments, produce star athletes and so on. While all of this is actually as good as it sounds, there’s a little problem here: not all kids want to become pro athletes or star champions, and not all the kids are cut out to do so. It’s not because the kid lacks a skill or two, it’s because the kid just doesn’t want to. This is a double-edge sword. For parents who are spending a fortune on the kid’s training, it’s natural for them to expect the kid to compete and go as high as she can, or even push limits and perform beyond the imagined capacity, and for kids who like to play but do not want to go pro, it’s unnecessary pressure they have to live in. For most parents the concern is pretty natural; if my child is playing, and is playing well, maybe she’s too small to realize she could excel in it only if her natural talent nurtured well and skills are honed. This is a valid concern. But on the other hand, there are many kids who play very well but maybe want a career in some other field, or do not want to make the career choice as yet and live in the pressure. Where do you draw the line? How do you decide whether the kid needs to take pro training or not? While these questions sound so complicated in themselves the answer is pretty simple: why be in a hurry to decide as yet. My advice to parents: let kids be. If your child has in-born talent and liking for the game, you wouldn’t be able to stop her. There are so many athletic stories that tell us that talent and passion would bloom, irrespective of the background, the facilities etc. If she is willing to be a part of the team, don’t stop her. If she doesn’t want to be a part of the team, motivate her, but do not force her. Even if you make her join a club or a pro training program, make sure the training is age appropriate, and most of all, your kid is enjoying it. If you see signs of fatigue, anxiety, dullness and see a repeated pattern in it, perhaps it’s time to talk to your kid. Take her into confidence, and try and understand if she is getting bogged down because of the pressure or she is not liking the game. If, at any point you feel she’s wants to quit and for the right reasons, let her. Sports are supposed to be good, positive activity for kids. But if this activity becomes the very reason for negativity, anxiety, depression etc. in your kid’s life, make her quit. Understand not everyone was born to become a sports champion; let your kid become the champion of what she wants. For athletes, the shoe is as important as the game. Getting the right shoes will not only give comfort to the child’s feet, but will also help in the game. Although the coach will keep the parents informed about the right gear required for the sport you child is in, here are a few general tips to help you find the perfect pair of shoes for enhancing the comfort and skill of your child. Always buy the right size. For growing kids parents tend to buy a size bigger, because kids would soon outgrow the shoes, but it can come in the way of your child’s sports performance. And if the shoe becomes tight, immediately change it for the appropriate size. 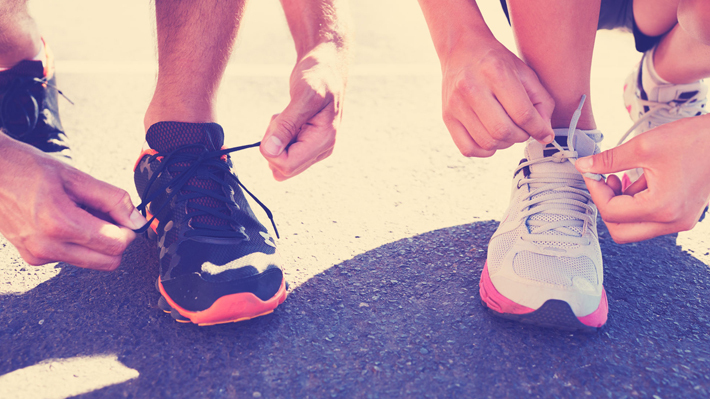 Wearing a tight shoe can cause blisters, calluses and other foot problems. Along with size, width matters too. There are shoes with different widths available. Match you foot width to the shoe width. A narrow shoe for wide feet is a complete mismatch and you can have foot problems like sore feet, calluses etc. and vice versa. In short, shoe width is as important as the shoe length. Apart from the shoes recommended for your sport, the type of shoes you should wear also depends on your biomechanics. Most people have conditions like high arch, flat foot, pronation etc. These conditions do not cause much of a problem, especially at a young age, but is not cured, they can escalate into severe leg, knee and even back pain in the later stages. These conditions can be corrected with the right shoes. For instance, for pronate feet, depending upon the kind of pronation, insoles are provided to be worn inside the shoe. The insoles can help providing the right inclination to feet, helping get the right posture and the right grip. Don’t be obsessed with ‘brands’, focus on the child’s comfort. Although buying a good brand ensures good cushioning and high performance, but if it doesn’t work for your child, move on. Do consult the coach before you buy shoes. And for the type of shoe the coach suggests, take advise from the specialists in sports stores. It will help understand the exact fit for your child’s feet. Remember, one size does not fit all. Dread tryouts? Tryouts and travel teams are the dark reality of today’s youth sports. Kids, at a very young age are being exposed to extreme competition, fear, disappointment and the worst of all, specialization. In a perfect world, each child gets what they want to play, when they want to play. But unfortunately, in the real world, organized sports have mechanized the whole sports domain. And as grim as it sounds, the harsh reality is there are tryouts and kids who are passionate about sports have to learn the ways of the world. Also, while rigorous training for elementary or junior high kids is highly debatable, planned training with age-specific regime has its advantages namely starting early, molding and grooming kids for a certain level of competitive environment. So, instead of missing the tryout or grumbling about it, you can actually prepare the child for a positive challenge. It can be a good learning opportunity for the kid, moreover, the child will get a taste of real competition, the preparedness will be so worth it. Here are a few tips to help you prepare the child for tryouts. Tryout should not be taken as the test of ability. It should rather be taken as the measure of required skillset. Getting left out in the tryout only means that the skills need to be honed better. So, actually it just calls for better learning. Through tryouts, coaches try and get the best players for the team. And a good player means so much more than just great talent, a good player is willing to learn, receptive, enthusiastic and a team player. The soft attributes are as important as game skill. Be positive, more importantly be positive in front of the kid. Do not grumble about the tryout or show your doubts about the process. This will shake the child’s belief. Do not add pressure on the child to make it to the team. It’s not like the kid is going to miss the last bus. Discuss the whole concept of ‘learning is more important than getting selected’ with the child. Encourage the child to take up what she likes. Do not force the child to take up a particular sport, but at the same time do not let her quit just because she was left out. If you see the passion, motivate her, give her your support to hone skills for the game. But if you feel the child is genuinely not into the sport, let her give it up if she wants to. Sports need an extraordinary dedication and if someone’s not passionate about it, they cannot do it. Let coaches do their job. It is in their best interest to select the best player for the team. If you feel there’s something fishy or unjust, discuss it. Do not create a scene that would land your kid in an awkward position. Kids develop a complex in such situations that then becomes the cause of some psychological suffering as a adolescent or an adult. Remember, it’s just a game. Do not be overwhelmed either ways. A lot of parents link the child’s performance to their personal achievements, which puts a lot of undue pressure on the child.